Use an app to find a pose, then add clothes. 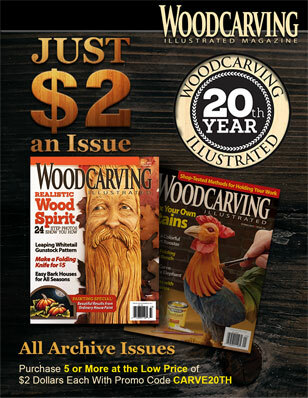 I have two methods for designing new carvings. 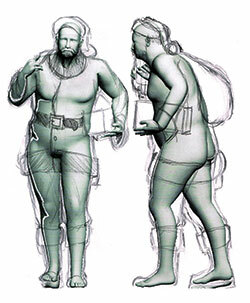 When I need to work out the pose, clothing, and details, I sculpt a clay model. (Click here for one method of creating a model.) 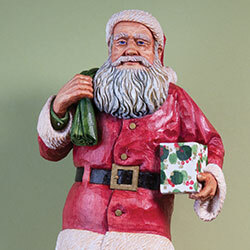 But for a recent Santa and some of my simpler carvings, I have a shortcut. 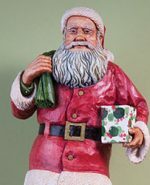 I use the Pose Tool 3D app (made by Alienthink.com) on my smartphone to create a pattern for my Santa. The app is meant to help you draw human figures with correct anatomy from different angles in complex poses. Step 1: Choose and pose a 3-D figure in the app. It includes options for male and female figures that are old, young, heavy, slender, muscular, or average. You can pose all of the body parts separately. I sometimes look in the mirror to be sure I’m choosing a natural pose. Step 2: When you are satisfied with the figure, take screenshots of the front, back, and sides. Transfer the images to your computer and print them. Step 3: Draw the clothing on the pictures of the figure. Use reference materials (i.e., photos of clothes) as needed. Step 4: Transfer the outline of each pattern to the wood and cut them out with a band saw. Carve Dylan’s realistic Santa! 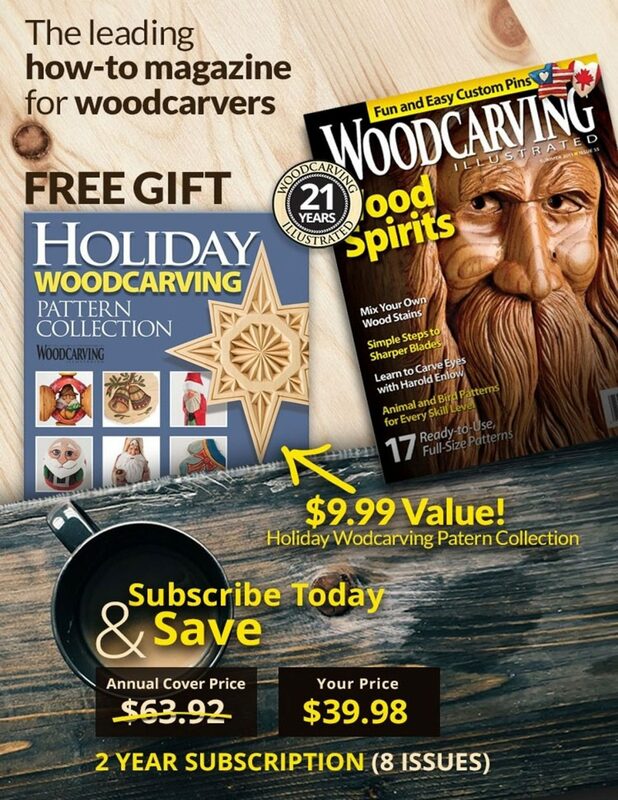 Look for the pattern in Woodcarving Illustrated Winter 2017 (Issue 81). Click here to order.